My latest column is up at Guns.com. It deals with the issue of guns in church. Here’s a preview. 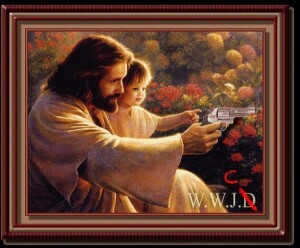 For many – especially gun control folks– churches and guns go together like, well, children and guns. Christians on both sides of the pew can cite dueling scripture verses. I’m not walking on these waters, because all of that should mean jack and squat when it comes to writing laws on gun rights. Why? Well, I’d quote the First Amendment here and the implied separation of church and state, but that’s something I trust all our readers know.